This painting won the 'City of Glasgow Prize' - best artist under the age of 40' at the Royal Glasgow Institute of the Fine Arts' 150th annual exhibition. 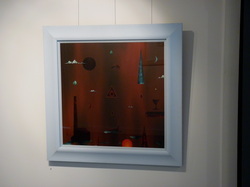 It was selected by Bailie Jean Mcfadden on behalf of the City of Glasgow. 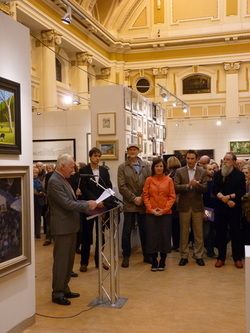 RGI president, Gordon Macpherson, introduces the prize winners to guests at the private viewing.